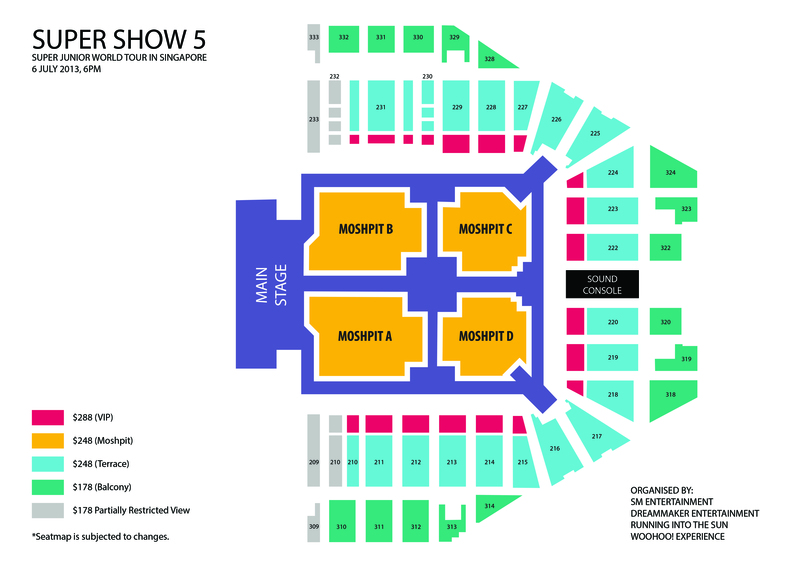 Ticket sales for the highly anticipated SUPER SHOW 5 will begin on 1 June 2013, and fans will be able to purchase tickets at all SISTIC outlets. 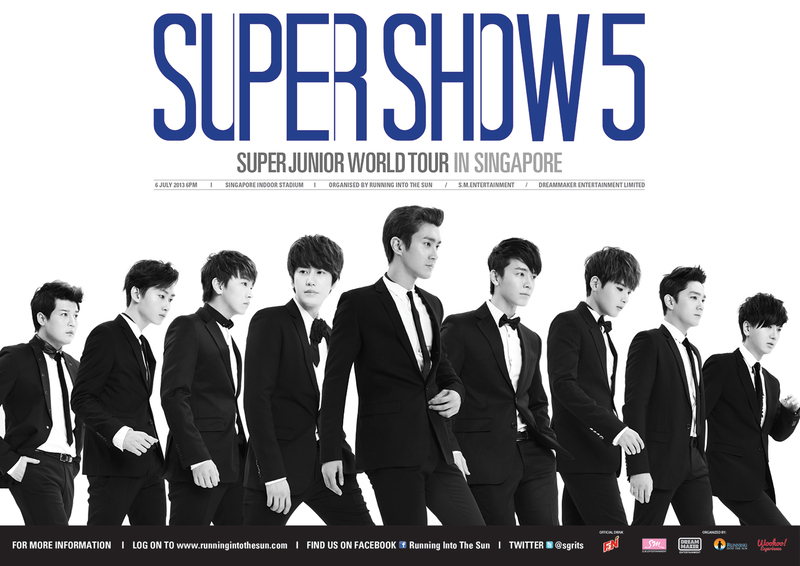 23 May 2013 (Singapore) – Running Into the Sun is proud to announce that tickets to Super Junior’s SUPER SHOW 5 concert in Singapore will be available from 1 June 2013, 10am. Fans will be able to purchase tickets to the concert on 6 July 2013 from all SISTIC outlets. A special VIP ticket category boasting the best view in the house has been created for the show to allow fans to get even closer to their idols while in the comfort of their seats. With this addition, there will be 5 ticket categories available at the following prices – CAT 1 VIP ($288), CAT 2 Moshpit ($248), CAT 3 Terrace ($248), CAT 4 Balcony ($178), CAT 5 PRV ($178). “To thank fans for their support over the years, we have created a VIP category of seats that will offer the best views in the house,” says Beatrice Chia- Richmond, Managing Director of Running Into the Sun. F&N is the official drink of the SUPER SHOW 5 concert in Singapore. Super Junior World Tour SUPER SHOW 5 is proudly organized by SM Entertainment, Dreammaker Entertainment, Running Into The Sun and Woohoo! Experience.